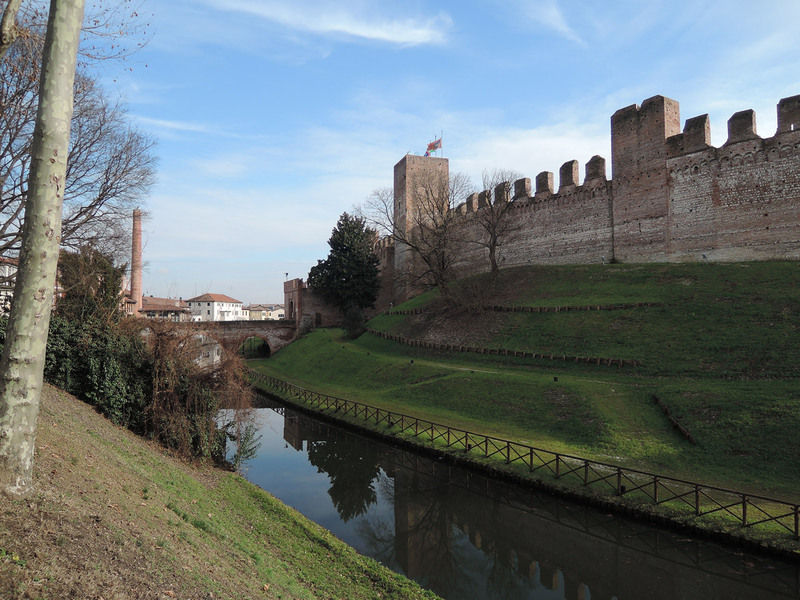 Cittadella is a nice little walled town (as the name Cittadella, Citadel, suggests) in the province of Padua. 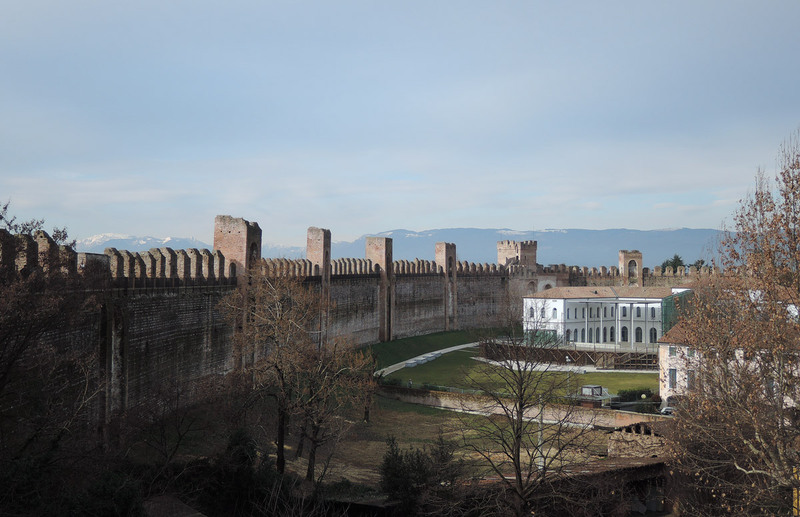 The main attraction here are the walls of Cittadella, its exquisite ellipsoidal Ramparts, with a walkway still entirely viable, thanks to a recent restoration (a breach in the Northwest area has been covered by a board-walk). Around runs a wide moat, once higher. Four entrance doors: Padova (south), Vicenza (west), Bassano (north) and Treviso (east). 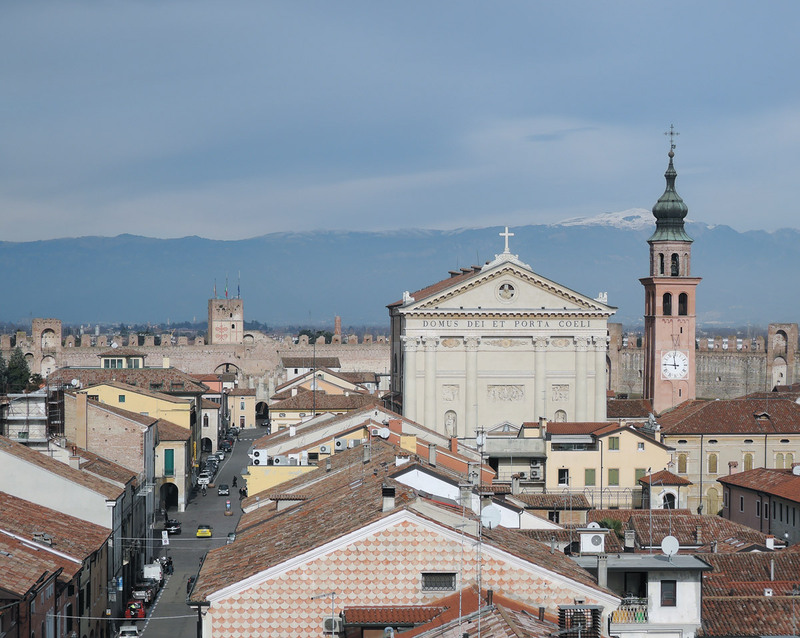 Between XII and XIII centuries Padua wanted to expand its territory, clashing with nearby cities, Vicenza and Treviso. 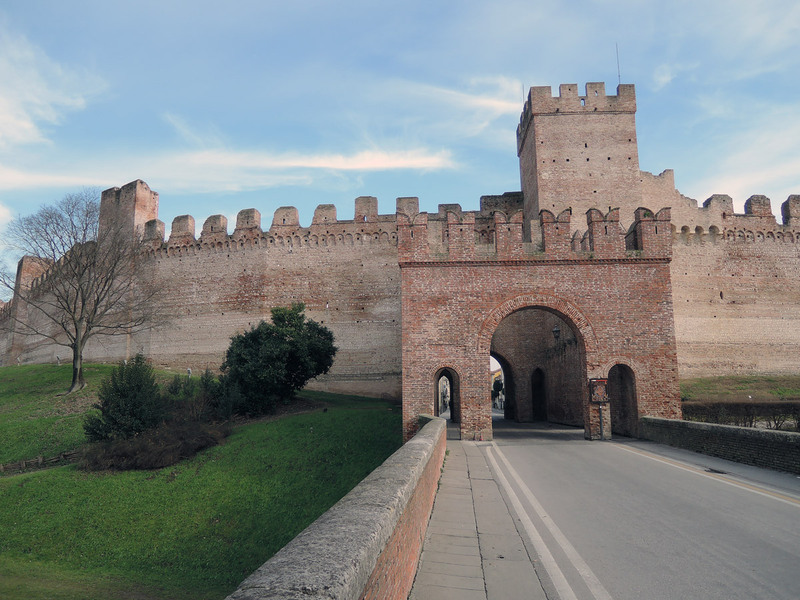 In 1195 Treviso began the construction of Castelfranco, a military outpost close to the border. 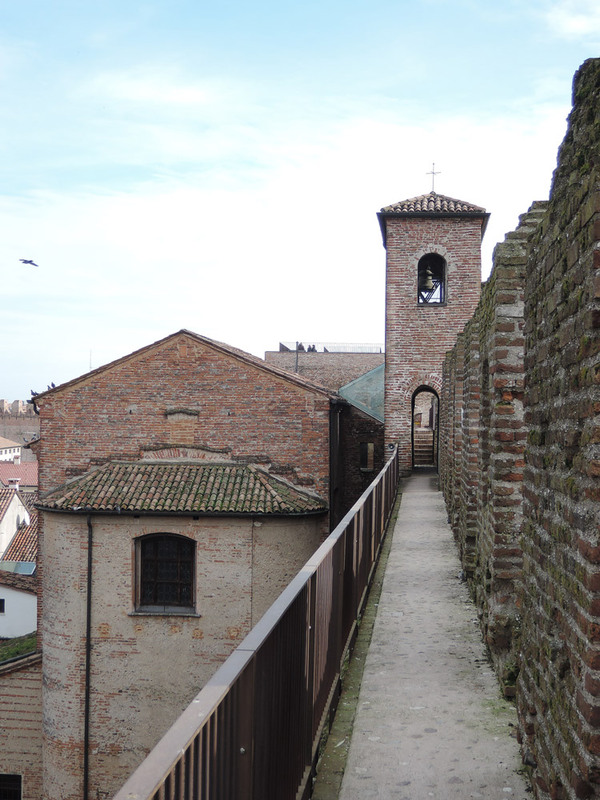 Padua, as response, began to build Citadella in 1220. 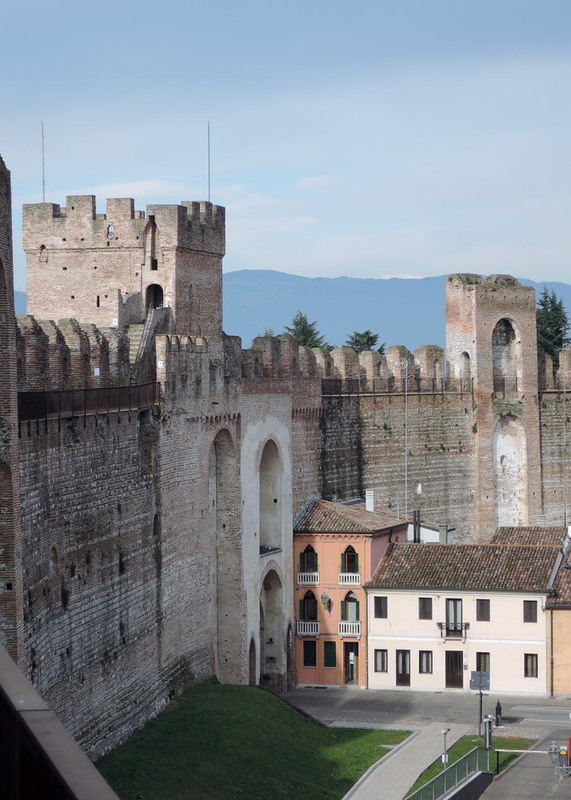 The Bassano Door is the one where the visit to the walls of Cittadella starts. It included once the Captain’s House, local garrisons and warehouses, a well, an oven and other services. It displays on its inner walls the wagon of the Carraresi and the emblem of Padua. Today it houses the tourist office and it is the entrance to the walkway. Half-way there’s the Padova Door, main entrance to the city. 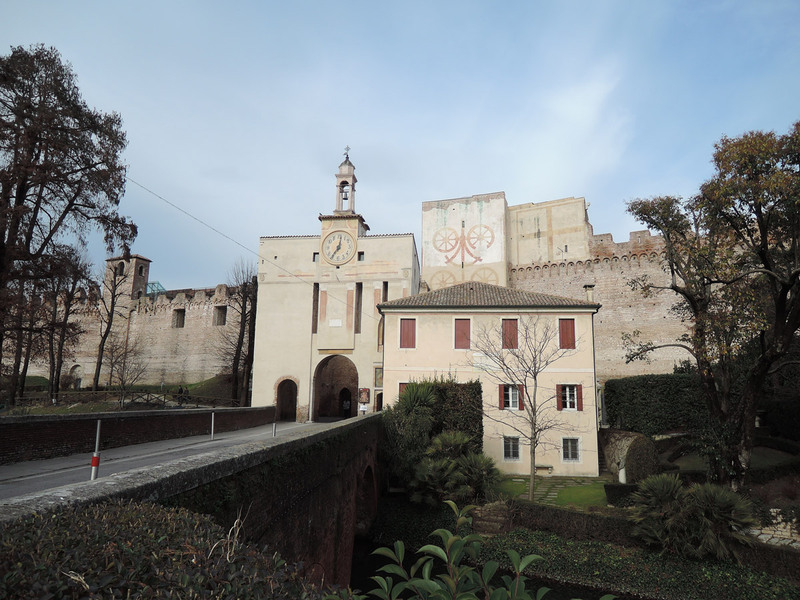 On the outer walls there are some frescoes displaying the symbol of the Carraresi family (a wagon) and the emblem of Padua (red cross on a white field). Close to the Padova Door is the so-called Tower of Malta, built in 1251 by Ezzelino III da Romano, despotic tyrant of the area, as a prison for his enemies. This tower was famous at the time because of the atrocities committed there. Even Dante mentions it in his Divine Comedy. It now houses the Archaeological Museum, a meeting room, a room with reconstruction of medieval costumes and weapons and two panoramic viewpoints. I think that people in wheelchair can reach one of the viewpoints by an elevator operated by an attendant, and then overcoming a 8 cm step. 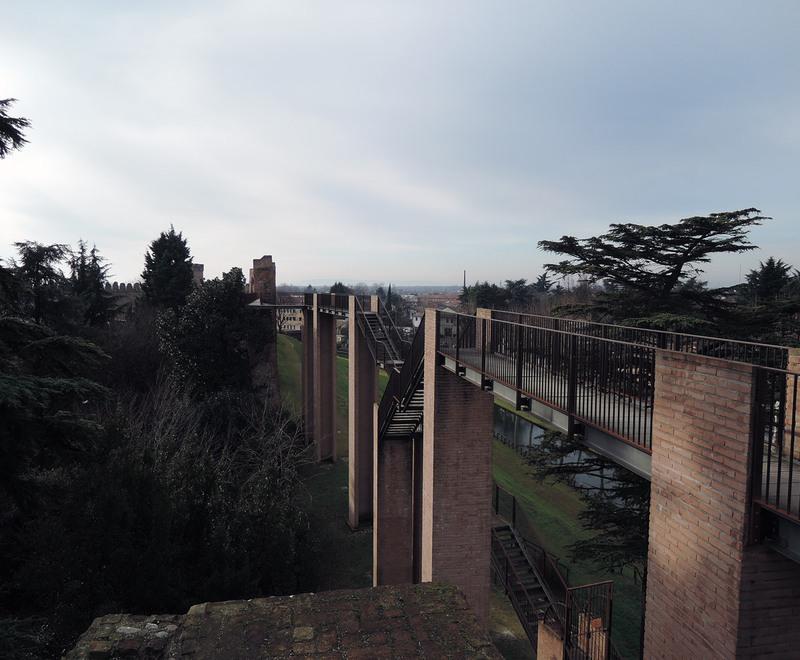 I really loved this experience in Cittadella. I had been there before and I had admired the walls only from afar. I hope not to offend anyone if I say that the town inside is nothing exceptional, very grey, architectures not so charming. Being able to make the walkway of the Ramparts changes everything. 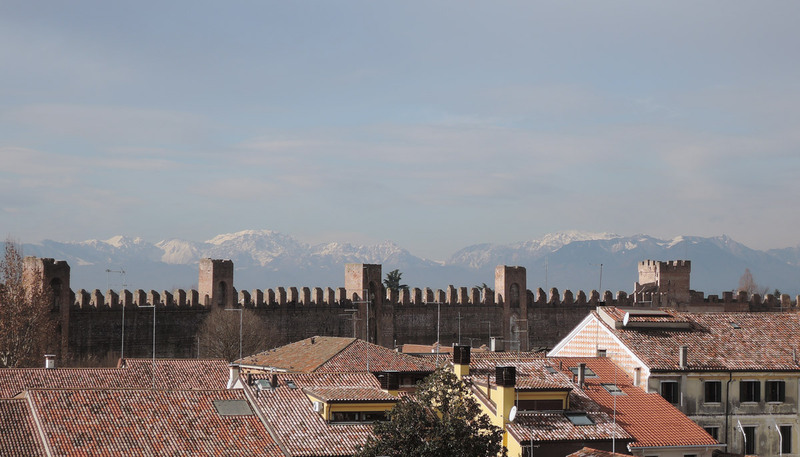 The view from the walls of Cittadella is spectacular. The day of the visit the sky was so clear we could see the mountains. The visit took about an hour and a half. 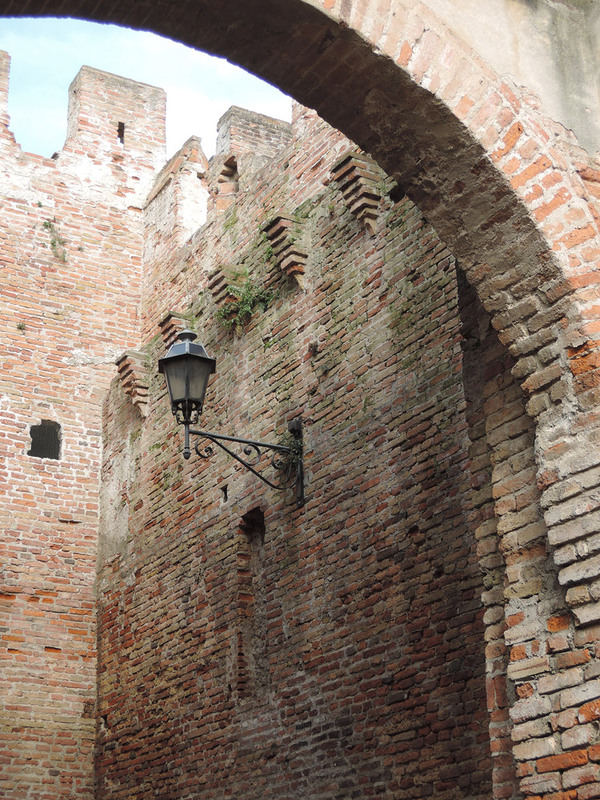 We stopped many times to take photos and we also watched the exhibition of reconstructed arms (with descriptions in both English and Italian language) and medieval costumes in the Padova Door. It was a simple exhibition, with fake objects and photos taken during the annual reenactment. Still I think that it was very interesting, especially for children. There you can also find a restroom and a vending machine for drinks and snacks. It’s been a pleasant route, sometimes even a little scary, especially along the broad-walk that covers the breach. My husband suffers from vertigo, but managed to pass. When I was already down, after the visit, I saw a group of girls passing there screaming and laughing at the same time. So, if you suffer badly from vertigo I do not think this attraction is suitable for you. Mind also the steps, there are a few along the way: I myself was about to stumble (I must admit that it was my fault, I was distracted to take a photo. Luckily nothing happened). After the visit we went for lunch in a local tavern. Here is the report of our experience at the Taverna del Borgo.